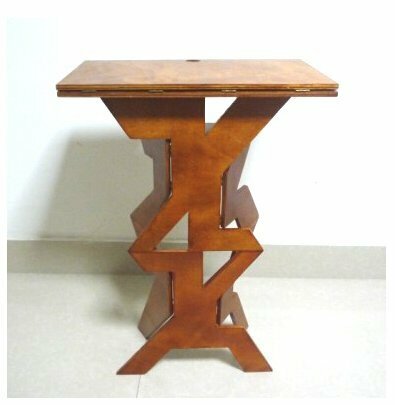 Product Description; wooden folding table; We seen some folding tables in our time, but we were taken back when we saw the quality of this baby! the construction is perfect. It has durability, it's sturdy and hold a good amount of weight. It folds flat and is instantly opened by gripping the handle on the top and releasing everything else.Simply stunning!